If the president of Venezuela had rhabdomyosarcoma, as rumored, his death was not surprising, says a board member of the national nonprofit that helps people with the disease. 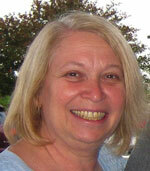 Joan Darling is a Sarcoma Alliance board member. Mr. Chavez was a prominent and influential figure, and his openness could have resulted in publicizing the plight of thousands of current and future rhabdomyosarcoma sufferers, especially adults for whom there is practically no effective treatment. Venezuelan President Hugo Chavez may have been the most famous and most powerful person to ever have rhabdomyosarcoma, says Sarcoma Alliance board member Joan Darling. "If the disease was indeed rhabdomyosarcoma, it was very unfortunate that he chose not to make this fact public," says Darling, a biologist in Lincoln, Neb., whose daughter survived the disease. "Regardless of what one might think of his politics, Mr. Chavez was a prominent and influential figure, and his openness could have resulted in publicizing the plight of thousands of current and future rhabdomyosarcoma sufferers, especially older adults for whom there is practically no effective treatment. "Publicity brings awareness, and awareness brings demands for more and better treatments. By announcing the type of cancer he had, the family of Mr. Chavez, so proud of bringing political change to their own country, could have a positive impact on the lives of people throughout the world." Before his death Tuesday, Chavez had undergone treatment for cancer in his pelvis for two years. He never specified what kind of cancer he had, but there was widespread speculation that he had soft-tissue sarcoma, specifically rhabdomyosarcoma, as journalist Dan Rather reported last year. Chavez and his vice president suggested his enemies might have injected him with cancer. Darling dismisses that possibility, saying a person's immune system would fight off such an injection. Rhabdomyosarcoma is a rare cancer of the voluntary, or striated, muscles. About 350 children, adolescents and young adults are diagnosed with it each year in the United States, along with a small number of older adults, says Darling, past president of the Alliance, a national nonprofit founded in 1999 in Mill Valley, Calif., to give guidance, education and support to people affected by sarcoma. "Children and teenagers are treated extremely aggressively to beat what is an extremely aggressive cancer. They typically receive numerous rounds of multi-agent chemotherapy and radiation, as well as surgery, if feasible. Side effects of treatment can be debilitating and are often life-threatening," says Darling, who manages the Rhabdo-Kids online support group and volunteers for the Children's Oncology Group, a cooperative group that designs and implements clinical trials for childhood cancers. If the cancer hasn't spread by the time they are diagnosed, young people have about a 70 percent chance of surviving. In contrast, she says, older adults have less than a 5 percent survival rate. Adults often have a different subtype of rhabdomyosarcoma that appears less responsive to treatment, she says. "Also, the oncologists who treat adults are not as familiar with this disease or the latest treatments as are the pediatric oncologists who treat children. Finally, just by being older, adults may not be able to withstand the rigors of the extended and intense treatment, which can take more than a year to complete. "Given political expediency, it is not surprising that a diagnosis of rhabdomyosarcoma would be hushed up, particularly as Mr. Chavez was up for re-election in 2012. It would have been very discouraging for his supportive constituency, and likely devastating to his political allies, to find out that he was facing an extremely bleak future." Sarcoma arises in connective tissue, including bone, muscle, cartilage, nerve and fat tissue. It can occur in any part of the body at any age, from newborn on up. Rhabdomyosarcoma is one of more than 50 subtypes. For more information, go to http://sarcomaalliance.org.